Launched in May of 2016 the Scotiabank More Rewards Visa Card stormed onto the market as one of the strongest no annual fee travel cards in the Canadian market. It is the new co-brand credit card offer for the Western Canadian based More Rewards program that comes to us from the Overwaitea Food Group. Now growing into a nationwide coalition reward program, More Rewards saw the need for a new co-brand credit card that was offered by a major Canadian bank, hence the tie up with Scotia. The Scotiabank More Rewards Visa Card issued by Scotiabank is one of the newest cards available to Canadians at the time of publishing this review and in our mind it is one of the most underrated. Why do we think this? Other credit card and financial sites have looked at the card but only looked at the general rewards catalog of More Rewards and they cited a weak return for what you earn with this card. What those blogs and sites failed to do was actually join More Rewards (costs nothing) and check out their travel reward options. When you do that you find out that this card is actually the MOST rewarding no annual fee travel rewards credit card in Canada. We worked out the numbers which you'll find out more below and the return is handsome and don't even include any extra points you earn for double dipping at More Rewards partners. The Scotiabank More Rewards Visa Card has a limited time sign up bonus of 15,000 points when you make your first purchase within two months. For all other eligible spending the card earns 4 More Rewards Points per dollar. The credit card itself will also act as your More Rewards Loyalty Card so you won't have to pull out two cards when shopping at More Rewards partners thus automating the double dip for you. More Rewards is growing as coalition rewards program. If you don't know what a coalition program is, it is one where you have a variety of places to earn points at and a large catalog of redemption options. In Canada, the big coalition programs are Aeroplan and AIR MILES along with several smaller ones like Cineplex's SCENE and now More Rewards. Assuming you only use this new Visa card at only More Rewards partners, you'll earn all your points at the 6 points per dollar rate. If we look at the redemption amounts above you are effectively earning a 2.54% return on all your spending. That is huge compared to the competition! Most travel cards on the market that aren't tied into a frequent flyer or frequent guest program are between 1.5% and 2% with some pushing 2.33% on select redemptions and Scotia's Gold Amex earning 4% on select category purchases. 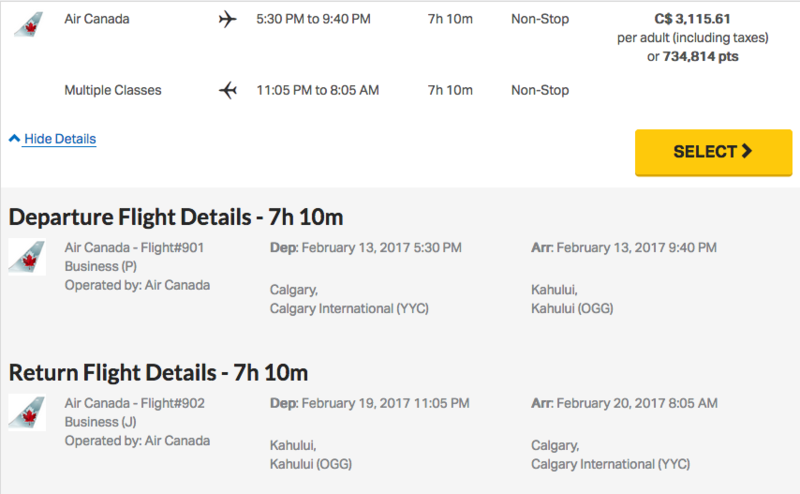 Plus you have to remember this card has no annual fee and the rate doesn't diminish on Business Class bookings either like you would see with the RBC Avion cards! More realistically however is the mix of spending on this card as when you shop at non More Rewards partners you'll earn 4 points per dollar. Still at 4 points per dollar you are getting a 1.695% return which places it in with the all of the competition listed above. But when you look at its no-fee competitors that only offer 1.25% or less this card blows them out of the water! It looks like our 2017 Top Travel Rewards Credit Cards will have a new champion for the no-fee Travel Points credit card category! And we're not even including the extra points you can earn for swiping your More Rewards loyalty card at any of the program's partners. The other redemption options as we mentioned include gift cards and the aforementioned merchandise as well as charitable donations. As with all programs that offer a varied catalog of rewards the gift card and merchandise options bring in a lower return on your credit card spending than you would get redeeming for travel. That being said there is a reason for these catalogs in many programs as there may be people who don't want to travel or earn enough points in other programs for travel that programs like More Rewards become secondary and are used for non-travel redemption options. In terms of gift cards you are looking at redemption rates between 0.9 to 1.3 cents for restaurant and Amazon ones if all your points are earned at the 6 points per dollar level while hotel gift cards range from 1.1 to 1.67 cents. So if you are booking a hotel your are better off booking direct through More Rewards Travel rather than getting a gift card unless you need just that, a card to give as a gift. Of course those numbers lower if your card spend is spread between the 4 point and 6 point earn rates but then it is also raised by the additional points you earn just on your More Rewards loyalty card. The Scotiabank More Rewards Visa Card comes with only two benefits on the card, purchase protection and extended warranty. That is pretty standard on most rewards card in Canada. There are no fee cards with many more benefits than this but they won't have as high of redemption rates as this card so you need to see where you need the trade off, better return or better benefits. The other feature was already mentioned in that the credit card itself will also act as your More Rewards Loyalty Card so you won't have to pull out two cards when shopping at More Rewards partners thus automating the double dip for you. The 4 to 6 Points per dollar earned on this card is what is so good when you redeem for travel via More Rewards Travel. No other no annual fee travel rewards credit card can even come close to a 1.695% to 2.54% return when redeeming for travel! We also like the fact that you don't have to take your actual More Rewards loyalty card out when shopping at More Rewards partners since the Visa card acts as your loyalty card as well. The main issue we have with the card is the lack of additional features or benefits. Once again this can be attributed to large return when redeeming for travel. We see the same thing with the Chase Marriott Bonvoy Premier Visa Card, it has no foreign exchange fee instead of a large insurance benefits package. It would be nice to at least see car rental CDW coverage however on the Scotia More Rewards Visa Card to tie into people travelling with the card! Just because you have not heard of More Rewards doesn't mean you shouldn't look into it. Sure most of its partners are based in Western Canada. Heck the Overwaitea Food Group only has grocery stores in B.C., Alberta, Manitoba and Saskatchewan. However More Rewards is growing with their nationwide partners. 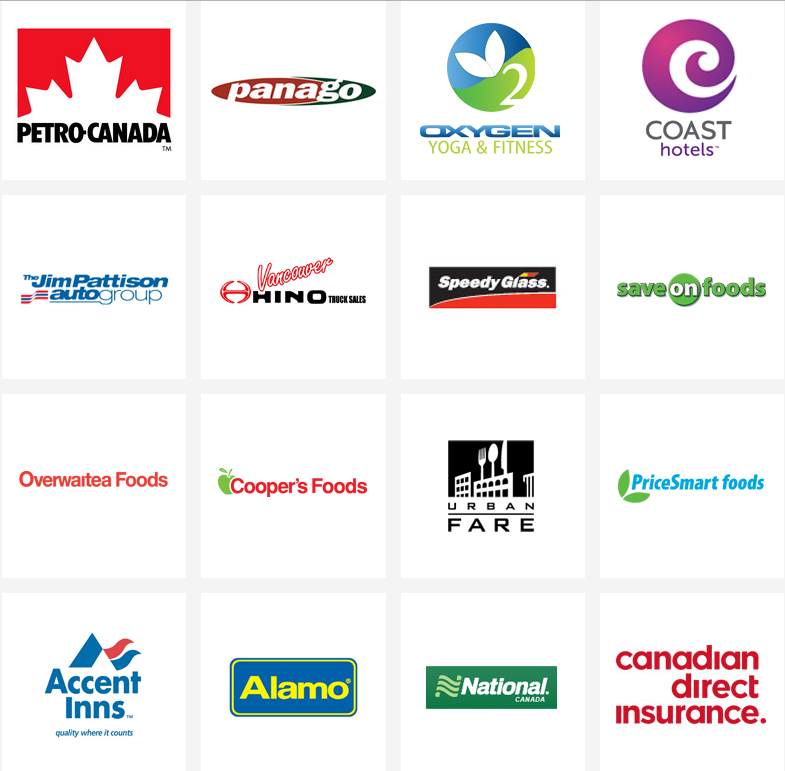 Petro Canada was recently added as a partner and you still earn your full Petro-Points on all purchases on top of your More Rewards points! Add in Alamo and National Car Rental as well Panago Pizza and you see how they are starting to cover more of Canada than just the west. Of course then you bring in this card and your covered anywhere in the World where you can use a Visa card. So should you get this card? Depends on your travel and spending as habits. Isn't that always the case? Many of you have a primary reward program that you are already involved with and probably have a premium credit card with lots of benefits tied in. So that is where are card like this comes in as a secondary or tertiary card. Get the card and only use it a 6x point option place to maximize your return. Then book your travel and pay part points part cash but at least you are getting 2.54% back on that spending! Pretty good chance even your premium card isn't giving you that return and since you are booking via a full service travel agency you'll still get your frequent flyer or frequent guest miles and points when you complete those flights or hotel stays. Seeing that the card has no annual fee there really is no harm in adding it to your loyalty program portfolio especially if your primary cards are an American Express or Mastercard and you need something to fill that Visa void. Overall this card makes great sense for most people but primarily those who are More Rewards members and have More Rewards as one of their main loyalty programs, those who only get no annual fee cards as they are adverse to paying annual fees, those who need a Visa branded card to complete their credit card portfolio and/or those who are always wanting the maximize the value of the rewards they get on their spending and see the 2.54% as a return they could utilize! Do you agree or disagree with us? Tell us what you think about the Scotia More Rewards Visa Card! Tell us in the comments section below or join the conversation on Facebook and Twitter!